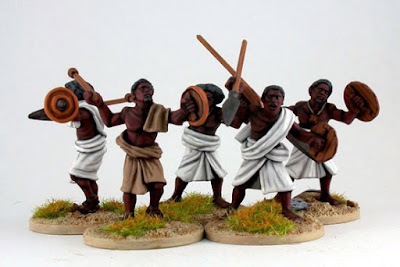 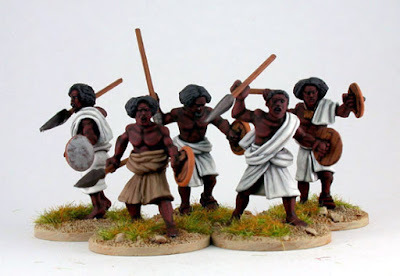 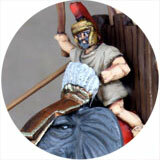 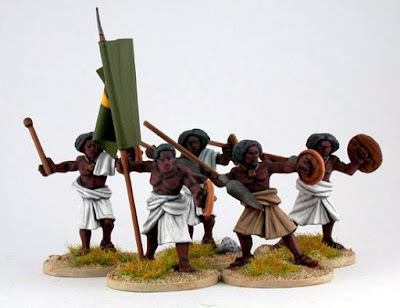 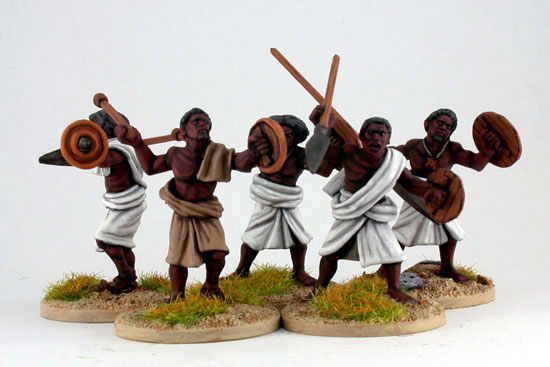 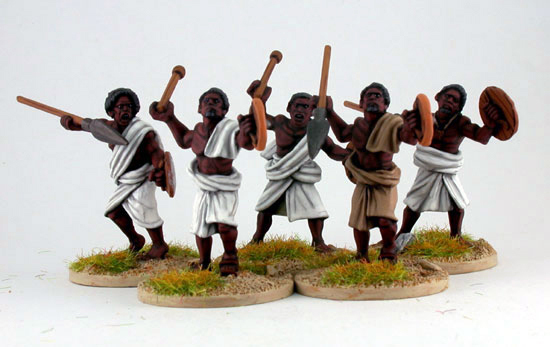 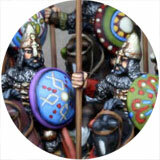 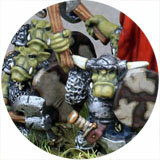 Darkest Africa Somali spearmen from Copplestone Castings. 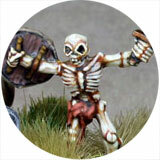 An Old School Necromunda Scaly from Games Workshop. 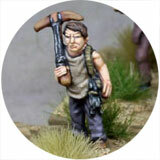 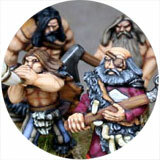 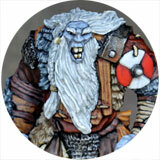 Alfred Redlute the Bard from Reaper Miniatures.